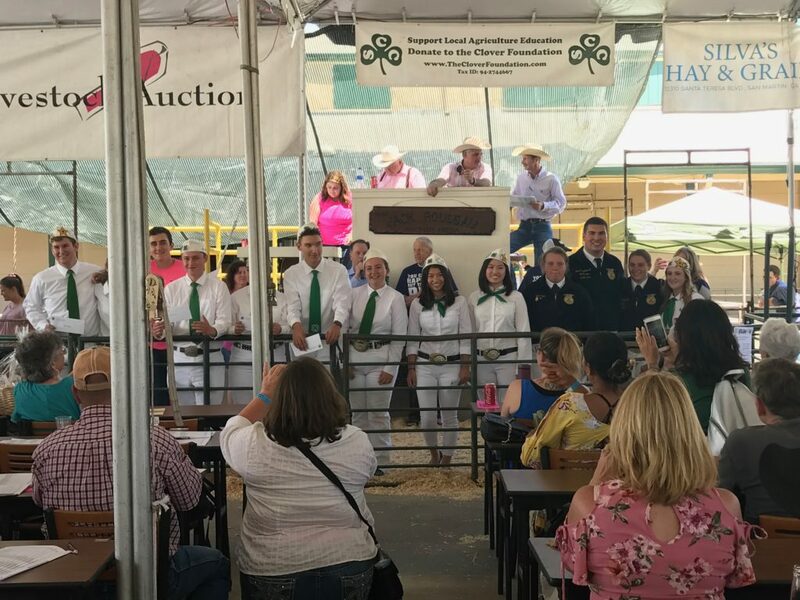 Scholarship winners announced during the auction at the 2018 Santa Clara County Fair. This is temporary and new picture coming! Congratulations to each of the FFA and 4-H Clover Foundation Scholarship winners for their dedication, leadership, and community involvement. The Clover Foundation of Santa Clara County wishes each recipient the best in the pursuit of their academic, career, and life goals. 2018 is the 5th year in a row of providing over $10,000 in Scholarship awards and was increased to $13,000 in addition to the Heritage Hog Scholarship. This is made possible through the generosity of community support and direct contributions from businesses and individual donations to the Clover Foundation. Congratulations to each of the FFA and 4-H scholarship winners for their dedication, leadership, and community involvement. The Clover Foundation of Santa Clara County wishes each winner the best in the pursuit of their academic, career, and life goals.